people and places is an international award winning social enterprise. We match skilled and experienced volunteers to community projects worldwide to enable local people to build the future they want for themselves. Our role is to enable volunteers and local communities to gain mutual benefits. We work in Africa, Asia, Southern America and Europe. 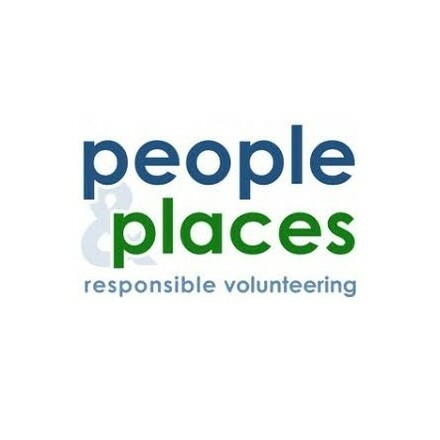 people and places was conceived to campaign for change - to demonstrate through example that volunteer travel, ethically managed can be a win win for volunteers and the communities they seek to serve. people and places was established to create leadership in a travel market sector bedeviled by poor practice. people and places aims to put the right people in the right places at the right time - as openly and as honestly as we possibly can! It's of paramount importance to us that our work has integrity. Our starting point for every one of our volunteer projects is the local community - the needs of the community and the local project are paramount. Only with a comprehensive understanding of the community and the project will people and places match volunteers to placements. We believe that people who are willing and able to contribute their expertise, skills time and money for the benefit of others, should be provided with quality volunteering opportunities and be well supported in their volunteering. Volunteers will work with, not instead of, local people. We are committed to worthwhile and safe experiences for volunteers and local people. We practice transparency in all our working practises. Each project is costed individually and is published with an explanation of how volunteers money is spent and distributed within the local community. people and places is not run for the benefit of shareholders. Our core values are mutual respect, service, partnership, transparency and sustainability.